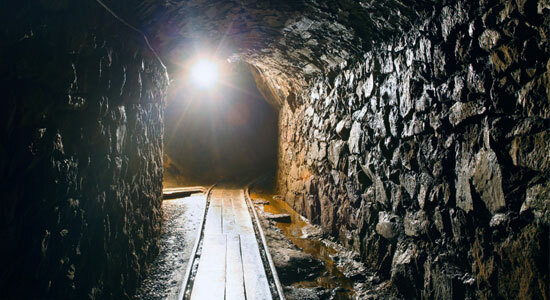 Mining Accidents Attorneys - Injured in an Industrial Accident? Injured in a Mining Accident? A miner, descending into a mineshaft, sees the world from a different point of view than most. Working long hours underground can be dangerous, and, unfortunately, many miners find themselves injured in a worksite accident. Mineshafts, cramped with heavy machinery and often filled with intense darkness, contain very real dangers to those who work there. You're in tight spaces where it can be easy to trip and fall, or you might miss an important warning over the heavy sounds of loud machines. If you've been injured in a mining accident, we can help. Call our legal professionals at 1-866-943-3427 or simply fill out our online legal consultation at the top right of this page. Our consultations are easy and free, and there's no obligation to use our services. Mining accidents can be extremely time sensitive, so it's important to call us as soon as possible. Evidence can disappear quickly, employers can clear accident sites, and defect machinery can be repaired or replaced. Don't hesitate. Call us today! As medical bills begin to pile up, you're probably wondering who will help with your growing expenses. We're here to answer any legal questions about your accident to help get you on the right track to receive compensation for your injuries. Because you may be entitled to multiple types of compensation, it's important to contact our legal professionals. We can provide you with options for your case, and we'll get you the maximum amount of money available for your injuries. Our attorneys can figure out if you have a Pennsylvania's workers' compensation case, a case for Social Security Disability benefits, or a personal injury lawsuit – or, in some instances, a combination of all three. We're committed to helping you get the money you deserve for your mining injuries. We know that there's no "light-duty" work in mining operations, and many injured miners may never work again. Contact us now for your free legal consultation. If you've been injured in a mining accident, call us today. The sooner you contact us, the sooner we can get to work on your case and get you the money you deserve.